In honor of “Distracted Driving Awareness Month,” we wanted to take this opportunity to talk about the importance of recognizing safe practices of driving during pregnancy. 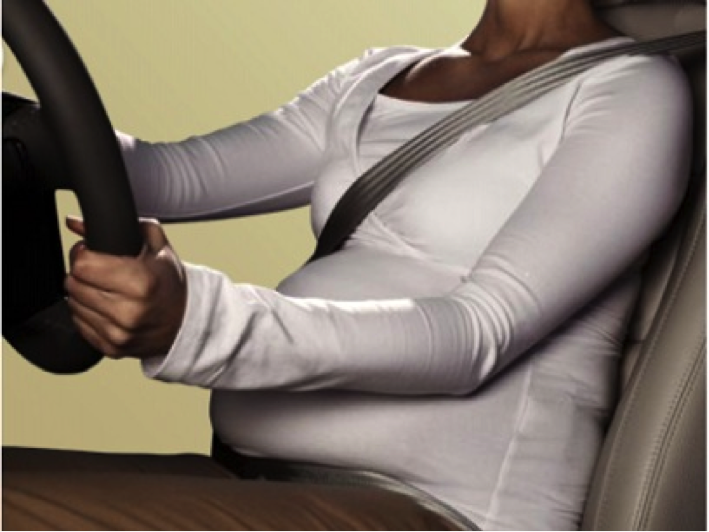 Safe driving during pregnancy is something all mothers should be aware of, as you are never driving alone. If you are going to be in the car for a long period of time, you should try to plan accordingly. Many moms-to-be pack healthy snacks for the road and extra water bottles to help stay hydrated. In addition, many also plan to take frequent stops and bathroom breaks, which can also be a great way to promote proper circulation. It is recommended to wear the seat belt above or over the belly. If possible always have a chauffeur, especially the closer you get to your due date. Try to position yourself at least 10 inches from the steering wheel and never position the steering wheel toward the abdomen. This is important in the event of an accident. You want to minimize any forward movement to make sure you and your baby are not harmed. Many moms-to-be wear a shoulder-lap belt as both the driver and the passenger. If you live in the area, call us and schedule an appointment with one of our Board-Certified pediatricians or family practice doctors to learn more about safe driving practices during pregnancy. We will gladly assist you. Now that you know about safe driving during pregnancy, pass it on!